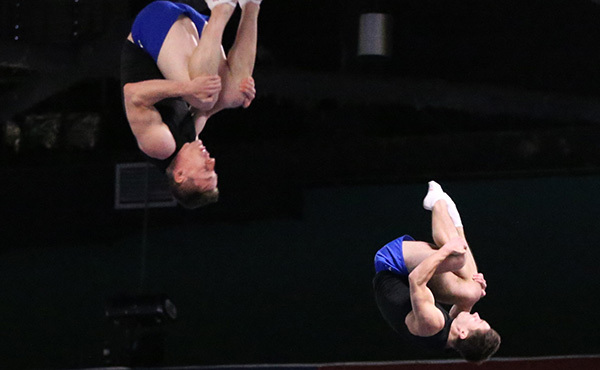 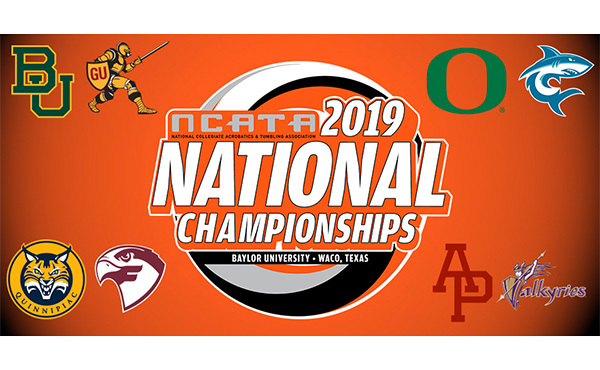 AROSA, Switzerland, June 30, 2014 — Cody Gesuelli of Middletown, N.J./Elite Trampoline Academy, and Colin Duda of Atlantic Highlands, N.J./Elite Trampoline Academy, won the junior men’s synchronized trampoline title at this weekend’s 48th annual Nissen World Cup in Arosa, Switzerland. 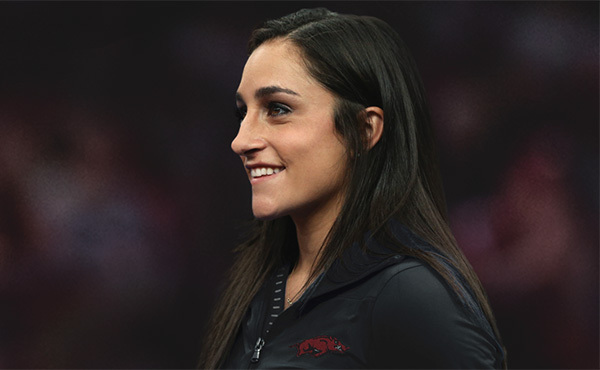 Gesuelli also picked up a silver in individual trampoline. 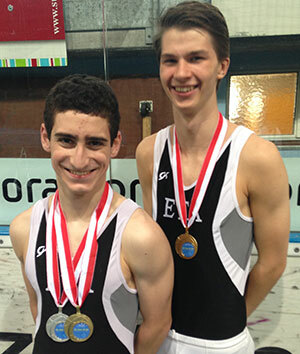 Gesuelli and Duda earned the junior boys synchronized trampoline gold medal after totaling a 45.900 in the finals. 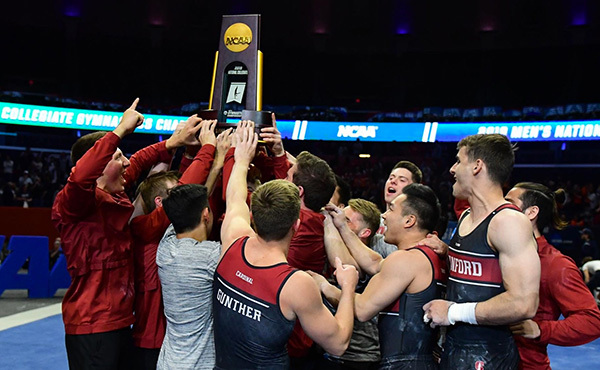 They led the second-place finishers, Yann Amsler and Sébastien Lachavanne of Switzerland (44.100), by nearly two points. 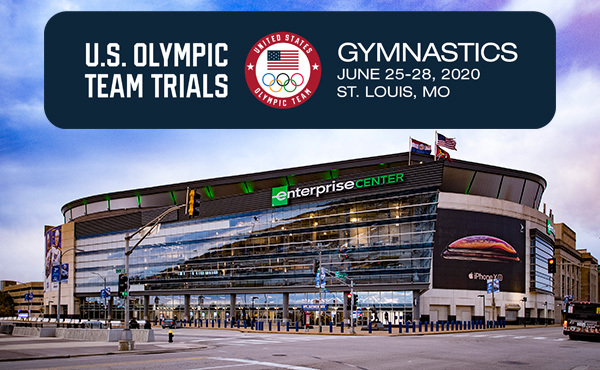 Gesuelli, who will represent the USA in the 2014 Youth Olympic Games in August, also won the silver medal in the junior men’s individual competition with a 54.080, finishing behind Artisom Zhuk of Belarus (56.940). 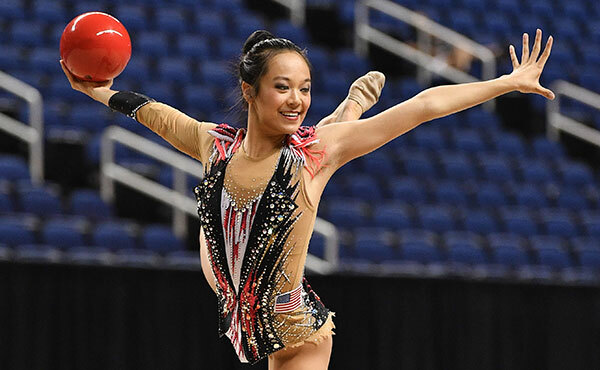 The Nissen World Cup featured competition on both the senior and junior levels.